After giving it some thought and looking at the various options I have ordered a Kinetic Road Machine Smart 2 trainer. 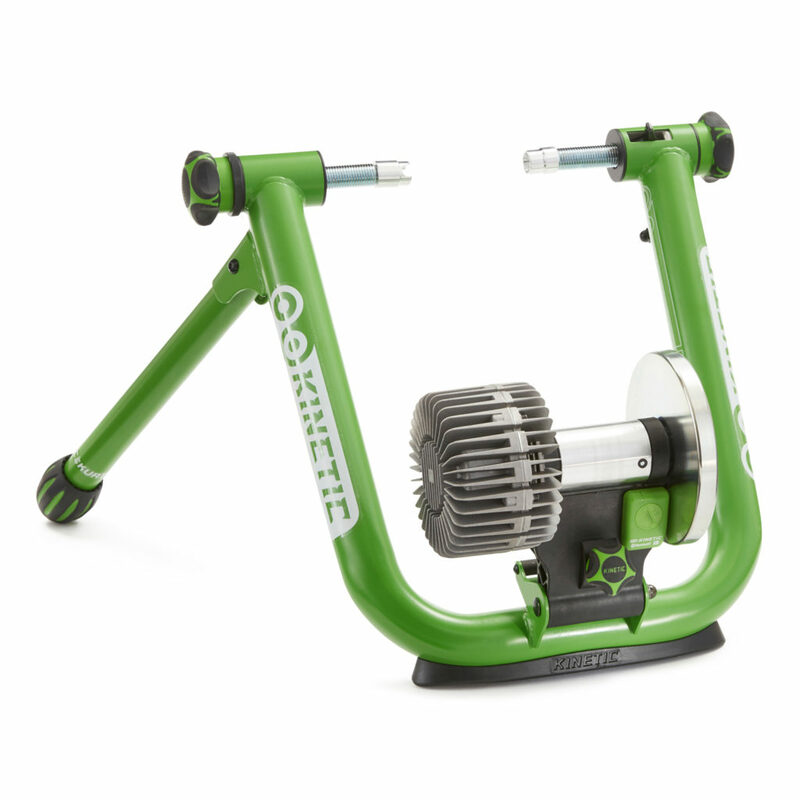 This is a fluid trainer (fluid resistance adjusts with wheel speed and is not app controlled) but does include the Kinetic inRide 3 Power Sensor which allows you to connect with apps like Kinetic Fit, Zwift, TrainerRoad, Rouvy, Kinomap, The Sufferfest and FulGaz. It has a RRP of £299 so it is placed at the lower/mid end of the scale. First impressions are good it looks pretty stable and I have paired it with the riser ring to keep everything nice and level. I will be calibrating it and trying out some of the apps over the next few weeks and will post about this again then. This entry was posted in Cycling, Training and tagged Indoor, Kinetic, Trainer. Bookmark the permalink. ← January Strava Club Discount Offer!